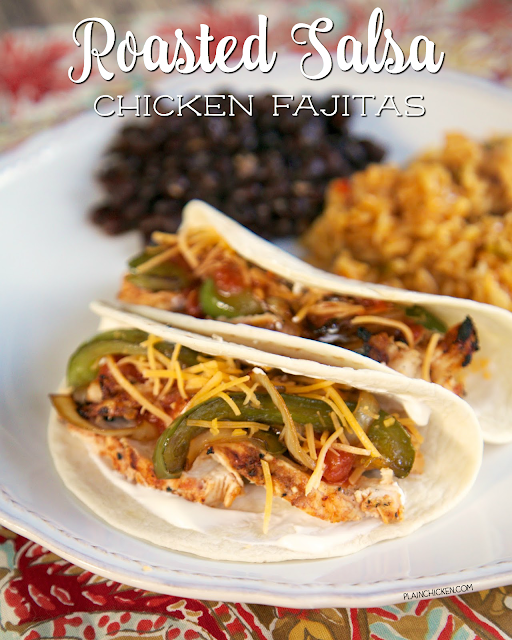 These might be the best chicken fajitas we've ever made! The marinade is so simple, it only has 3 ingredients! I love that! The secret is the roasted tomato salsa. I used Fontera Roasted Tomato Salsa. I found it in the Mexican food section at Publix. If you can't find Fontera brand, I'm sure any roasted tomato salsa will work. The flavor is fantastic in these fajitas. We both took one bite and agreed these were delicious. Chicken Legs has already asked to make these again. I am going to make extra chicken this time so we have some leftovers for lunch. 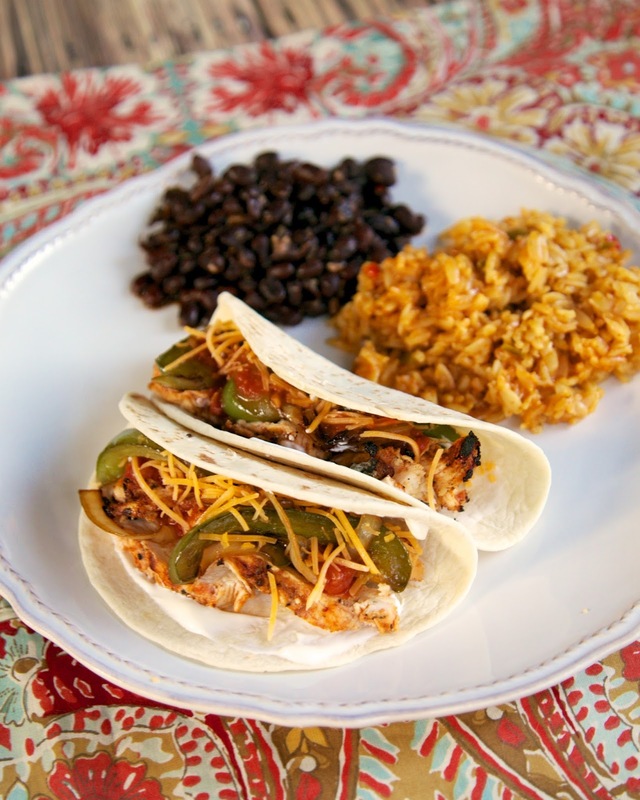 Serve these with some black beans and rice for a weeknight fiesta! Combine 1 cup salsa, Worcestershire and lime juice. Pour over chicken and marinate up to 4 hours. Remove chicken from marinade. Grill until done, about 10-12 minutes. Slice chicken into strips. While the chicken is cooking, heat oil in sauté pan. Cook onions and peppers until soft, about 10 minutes. Set aside. Top tortillas with chicken, onions, peppers and your favorite toppings - sour cream, cheese, guacamole and additional salsa. I can't wait to try these! I've already added the ingredients to my Ziplist! hey, these look interesting. thanks for sharing. YUM!! I have everything except the Roasted Tomato Salsa and that's just a quick trip to Publix!! I can't wait to fix these for supper!! Thanks! !